At times, I find it distinctly hard to identify with characters in a book. There are authors, in fact, who craft masterful stories, whose imagination knows no bounds, who are wonderful and helpful and in every way laudable, but whose characters just... escape me. Objectively, I can understand these characters. But subjectively, I can't identify or sympathize. It's a strange phenomenon which leaves me clueless as to how to rate a book, or what I even think of it. The reason I'm leading with this problem is that Cinder is a cyborg. Which is a kind of robot, as my technology-clueless brain informed me. And I'm more of an epic-fantasy than sci-fi girl, so perhaps it's only natural that I worried. I couldn't imagine it being easy to identify with a cyborg. But the raves. All the raves. So, so very many different types of readers converged to agree on a book just this once and "sell it" as a great one. It sparks curiosity, even for those who worry about the identification-with-a-robot issue. Those stories, where characters are difficult to identify with and feel for? This isn't one of them. It is in every way a sci-fi masterpiece - interplanetary negotiations, spaceships, androids (not the phones, the other ones), implanted chips, all kinds of futuristic cyber-internet, and - of course - cyborgs. But at the same time, the characters - right down to the androids and the cyborgs - are downright human, and so very close, even so far into the distant future. Cinder is spunky. She is industrious. And best of all (really, the best of all) she is her own master, even when having to answer to others. This futuristic Cinderella doesn't want for Prince Charming to save her. Prince Charming would, in fact, be toast without her long before the conclusion of this story. Of the two, he is also not the one you'd call to change your lightbulb or fix the remote. Cinder is resourceful. Cinder is a force to be reckoned with. And though her friends are scarce, the one she has are worth sticking around for. But there are far grander powers at play than just Cinder's interpersonal relationships, and this more than anything is what exceeded all my expectations going into this book. From the very start, this is a story of intra-and-interplanetary wars, of diplomacy, of (the lack of) tact, of forces of good and evil, and of one-thousand-ways-to-mess-up-peace-treaty-negotiations. Though the main driver of the story, Cinder's personal hardships fade in the face of the hardships of the world as she knows it (and the threat that it's about to become rearranged into one she wouldn't recognize). Was the final plot twist evident 30% into the book? Yes. But did any of this take away from my enjoyment of Cinder as a whole? Not one bit. 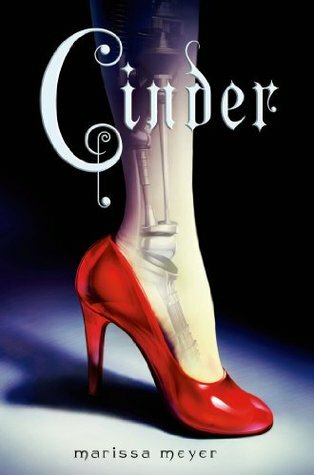 Because the plot, the characterization, the pacing and most of all Marissa Meyer's imagination are all developed beyond anything I could have hoped for. And here's a non-spoilery spoler-like inducement: book two, Scarlet, is even better. Review coming soon. 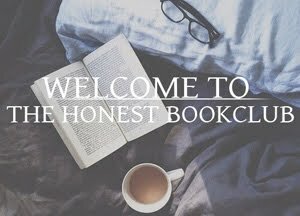 So, here at The Honest Bookclub we're a bit late to the Lunar Chronicles party. The good thing about being late to good series is getting to marathon them near or around the time the final book is out. That pesky longterm wait? Not a problem. We like to look on the bright side of things rather than to cry Why didn't I pick this up years ago. So there. If you've read The Lunar Chronicles or have plans to read the series, let us know in the comments below, or find us on social media... pretty much everywhere.